Catch all the live updates of the third day of the first Test between Sri Lanka and South Africa. Report, Day 2: A day after making a remarkable unbeaten 158, Dimuth Karunaratne again tormented South Africa with a half-century as Sri Lanka began to lock up the first Test after day two on Friday. South Africa face a tall order to save the match on a crumbling pitch with plenty of assistance for spin bowlers. 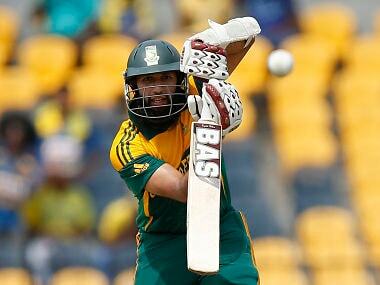 "If we manage to restrict them to, I'd say 320, then certainly that would be a good target for us," Amla said. "If a couple of us have a good partnership and one of us plays like Karunaratne played, that would get us close to that score." "Like most pitches, as the days go on the deterioration occurs," Amla said. "Today, it spun a little bit more than yesterday. Tomorrow, maybe in the morning session it might not spin as much and then break up and spin more and more." Sri Lanka were 111-4 in its second innings. Left-arm orthodox spinner Keshav Maharaj picked up the first three wickets but, with a healthy first-innings lead of 161 runs, the hosts could play with freedom. Danushka Gunathilaka (17) added 51 runs for the first wicket with Karunaratne and the former was dismissed when he gave Maharaj the charge but couldn't clear the boundary. Rabada ran to his left from long-on to complete the catch. 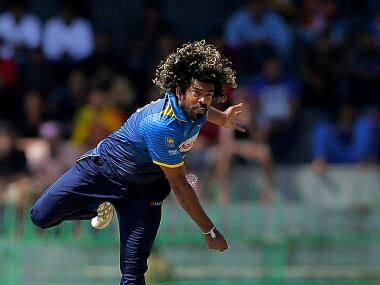 Maharaj, however, couldn't trouble Karunaratne as the left-hander was solid in defense and punished the loose balls with a couple of elegant drives. He was Sri Lanka's best batsman in 2017 having posted over 1000 runs in Tests. He missed Sri Lanka's recent tour of the Caribbean due to injury. "What we have realized is that they don't play offspin too well," said Perera, who took 16 wickets in the 2014 series. "That has been evident in their last few series they have played. Maybe that is one reason why I picked up four wickets today. "We didn't expect to get them bowled out for 126, though." 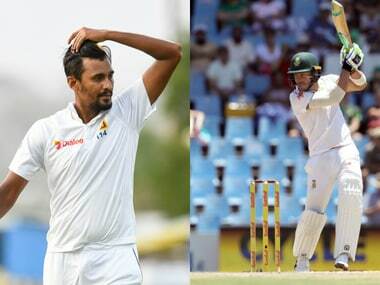 Lakmal hastened South Africa's collapse with a superb piece of seam bowling accounting for the last three batsmen including captain Du Plessis, who was clean bowled by a delivery that cut back in sharply.